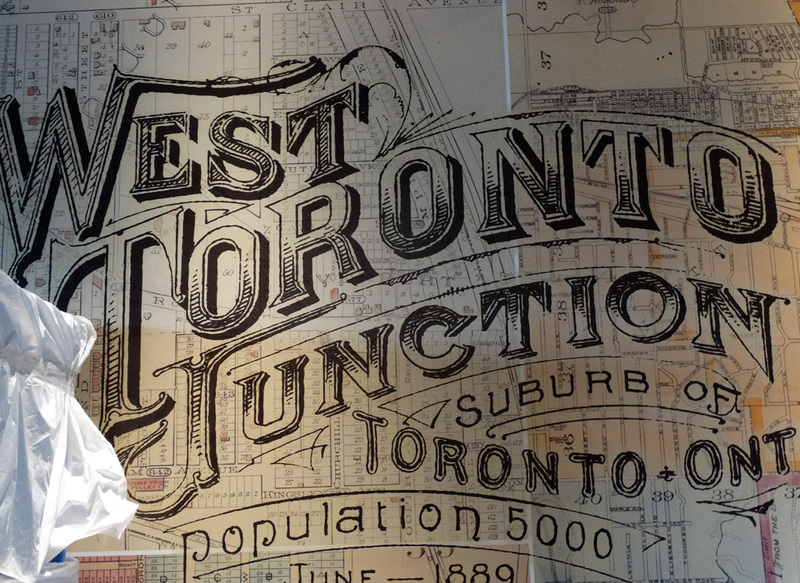 Home › In the 'Hood › The Junction Food Tour – a great way to spend an afternoon! 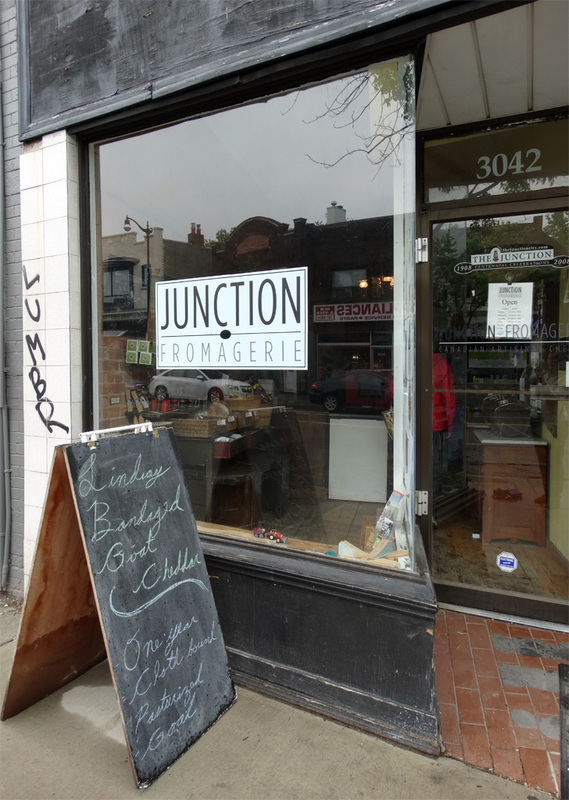 This past Sunday, a friend and I joined Bites and Sights for an afternoon of wandering The Junction visiting different local eateries and sampling some of their delicious fare. Despite the drizzle that day, it was a fun afternoon and a great reminder of why everyone should experience, if not frequent, this part of the city. 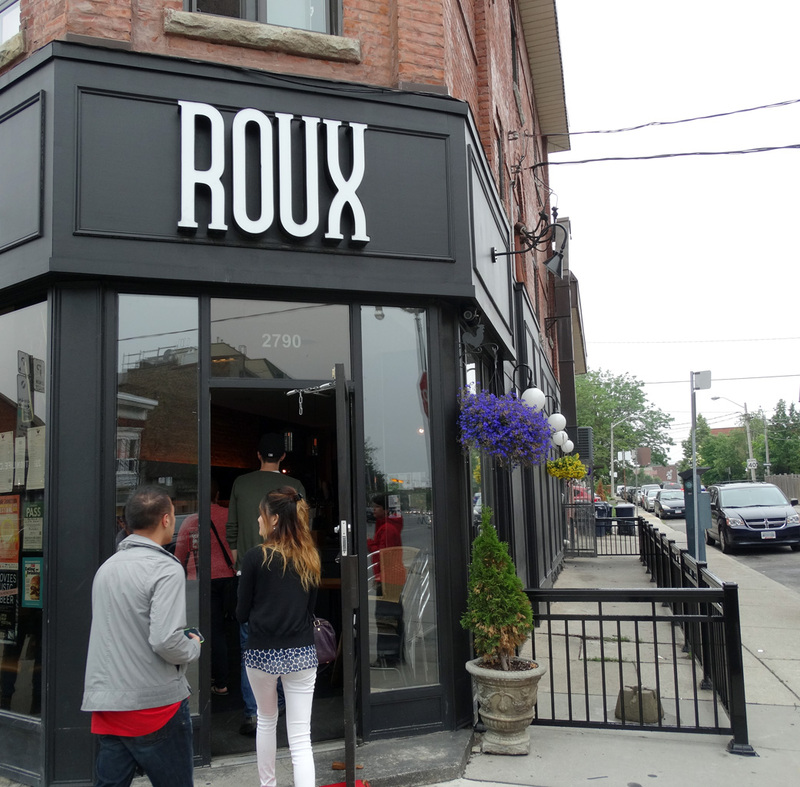 It’s such a great vibe in The Junction, and there are so many cool and unique stores and eateries along the Dundas West strip. It’s a great way to spend an afternoon! 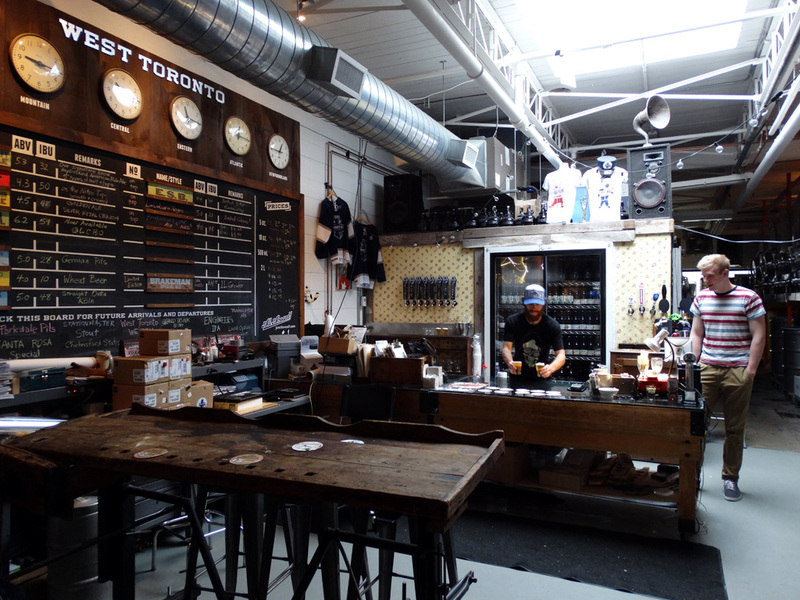 There were four groups on the tour, with each group experiencing a slightly different lineup of eateries, but all finished together at Junction Craft Brewery. And based on the stories from the other groups who had stops that weren’t on our tour, we are definitely going back to check those out as well! 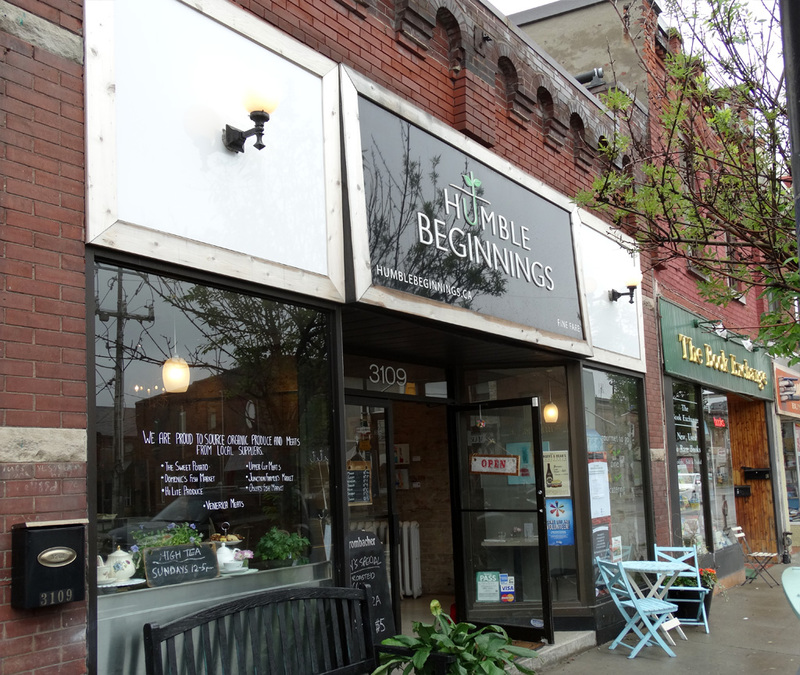 Our first stop was with Humble Beginnings. 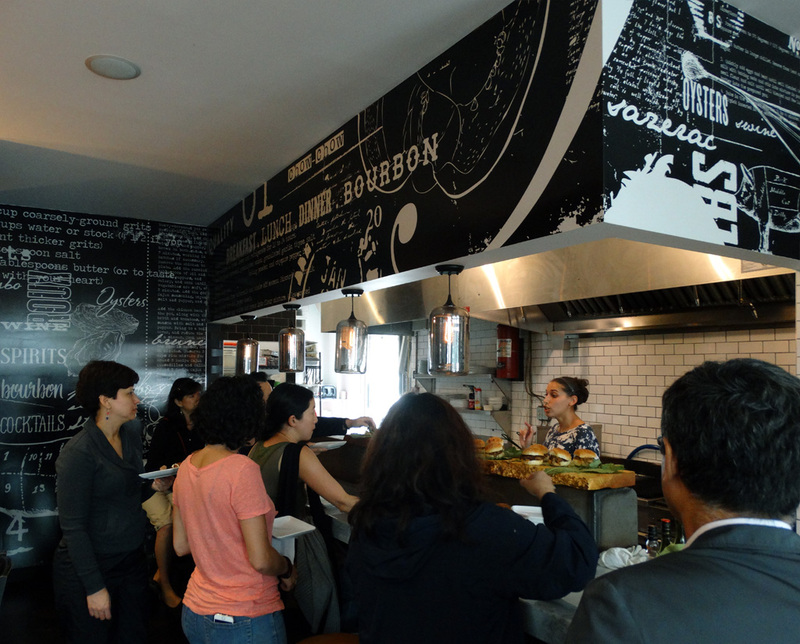 With a focus on fresh, healthy and local, everything they serve is hand-made (including their sauces, doughs and stocks) using ingredients that have been sourced locally…And they cater to a full dietary palate – from no restrictions to gluten-free and vegan. 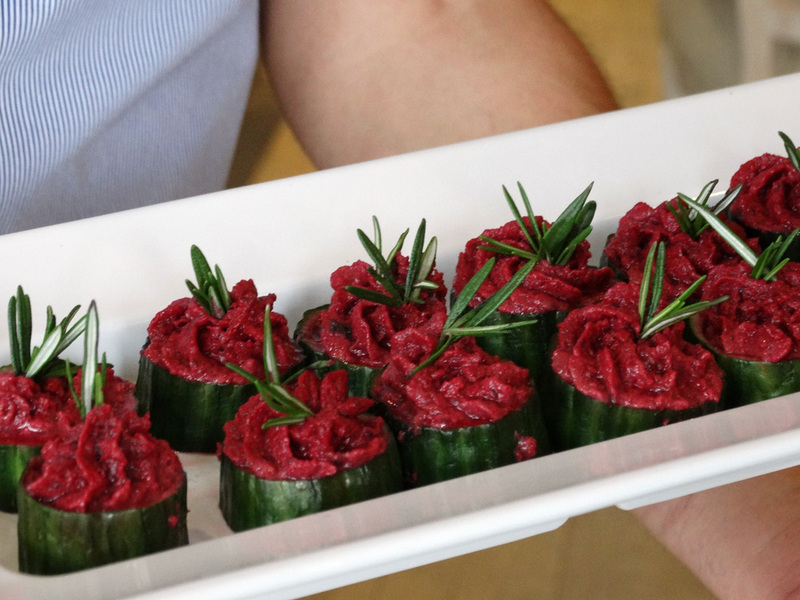 While there, we were treated to a sampling of the cucumber cups with beet hummus from their Sunday High Tea menu. Everything looked fresh, delicious and mouth-watering! I can’t wait to go back for a full meal! 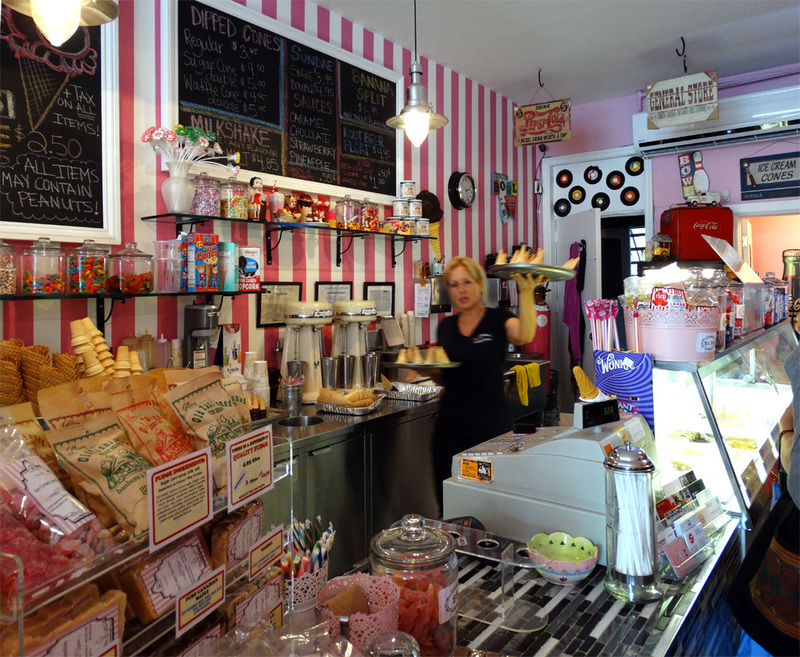 Love the retro ’50’s feel of this shop! You really do feel like a kid in a candy store in there! Serving Kawartha Dairy ice cream and a plethora of other sweet treats, this little seasonal gem is worth a stop for a summertime treat. 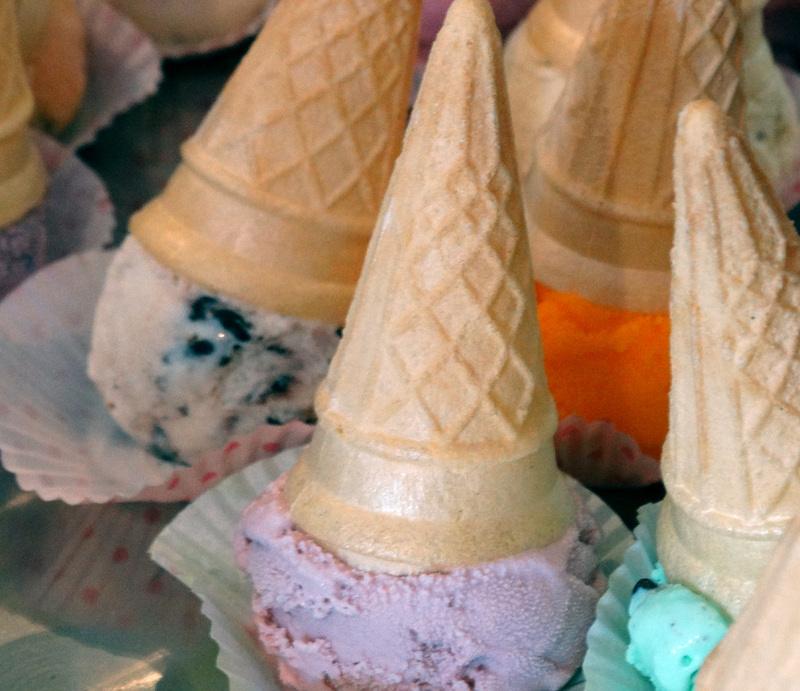 Can’t decide on a flavour, try out the itty bitty cones and create your own sampling plate! 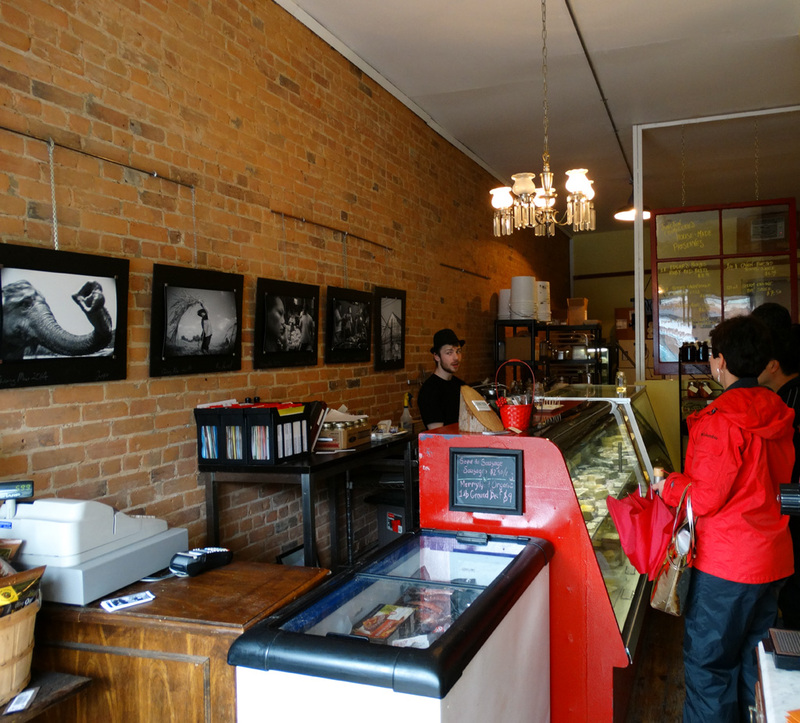 If you’re looking for a quality Canadian artisanal cheese, this is the place to come! While you’re there, you can also add in some fresh bread and homemade preserves. As part of our tour, we were treated to a sampling of a Lindsay bandaged goat cheddar. 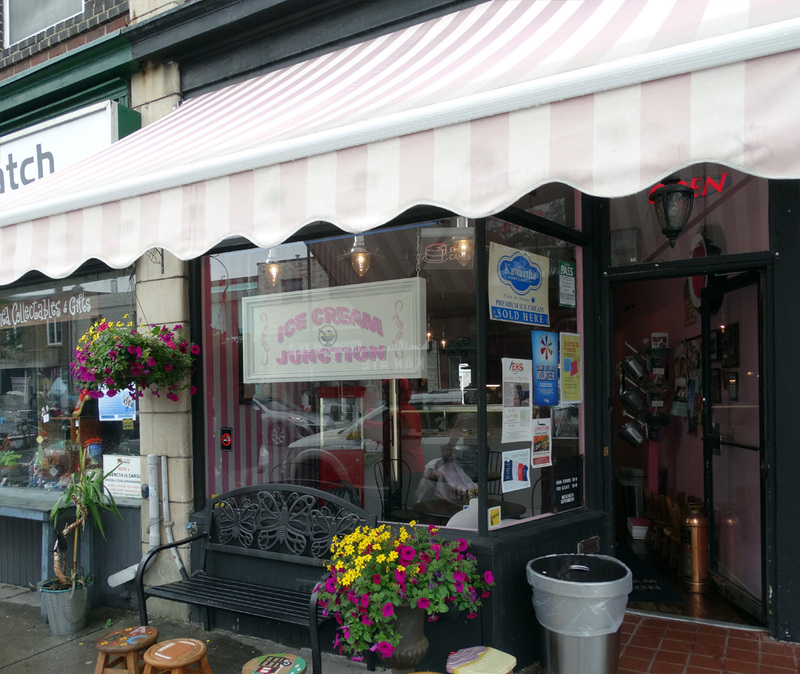 And since the same owner also owns Delight, the chocolate and ice cream shop next door, as an extra treat we were also given a taste of Delight’s handmade strawberry ice cream – which had just been prepared using fresh Ontario strawberries. Delicious! 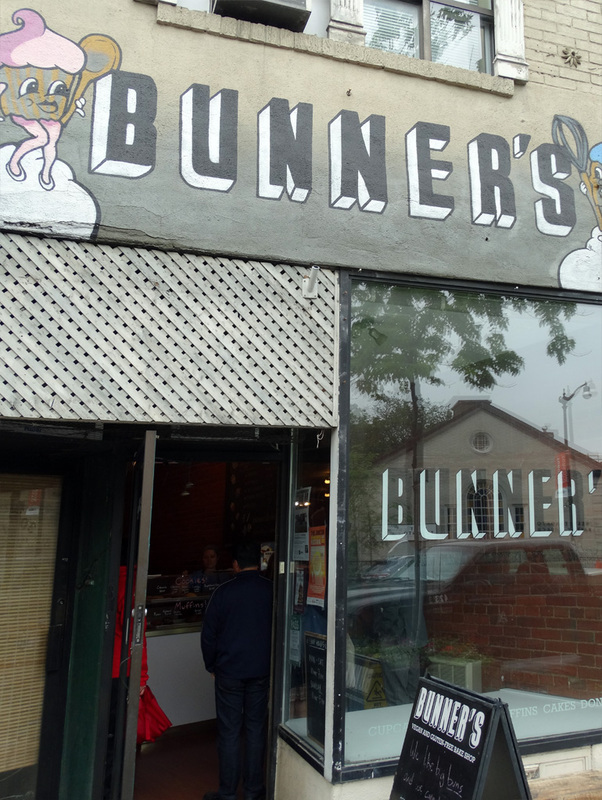 Bunner’s was Toronto’s first walk-in retail bakery to offer 100% gluten-free and vegan baked goods. 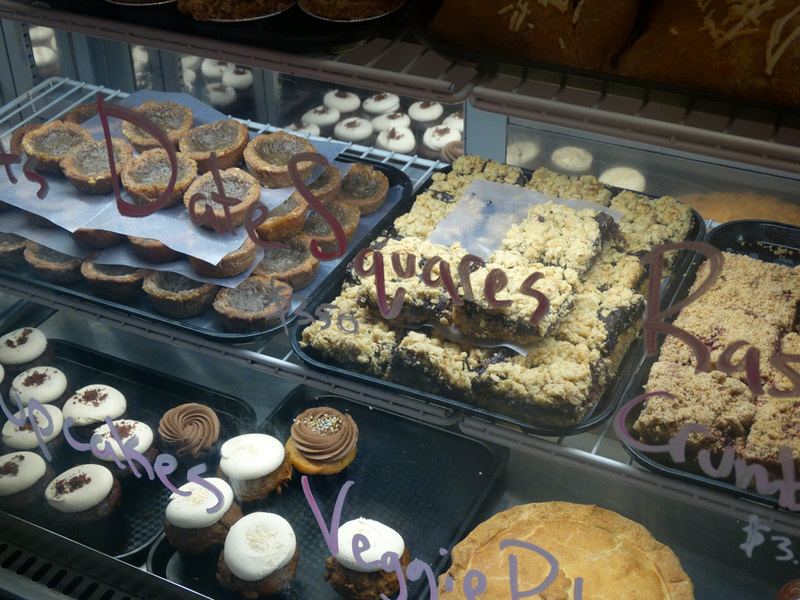 Their treats are all free from common allergens such as wheat, dairy, soy, gluten, eggs, and refined sugars. 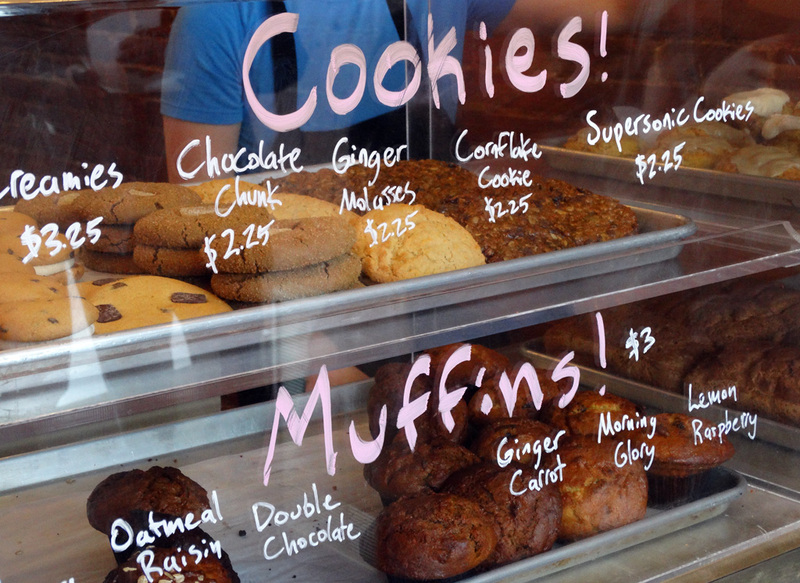 And everything is baked daily on-site! 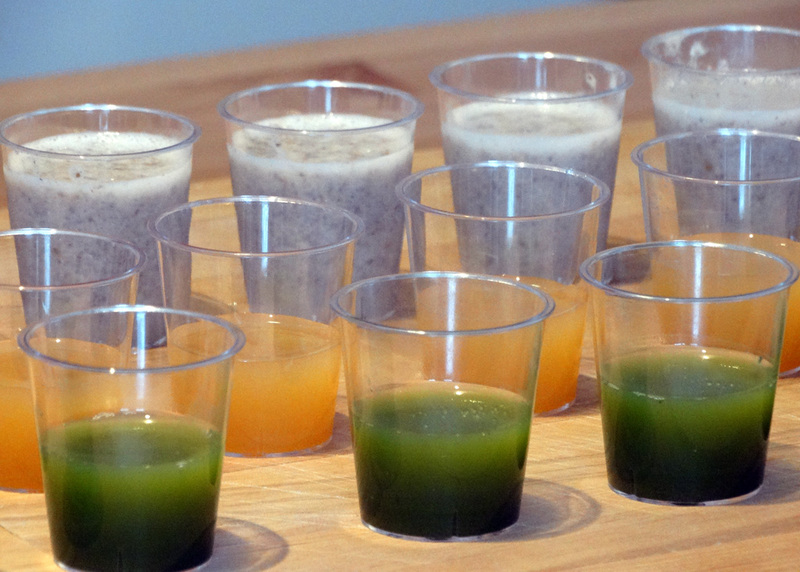 Check out how yum these treats look! We sampled the Supersonic Cookies. They were moist, dense and scrumptious! 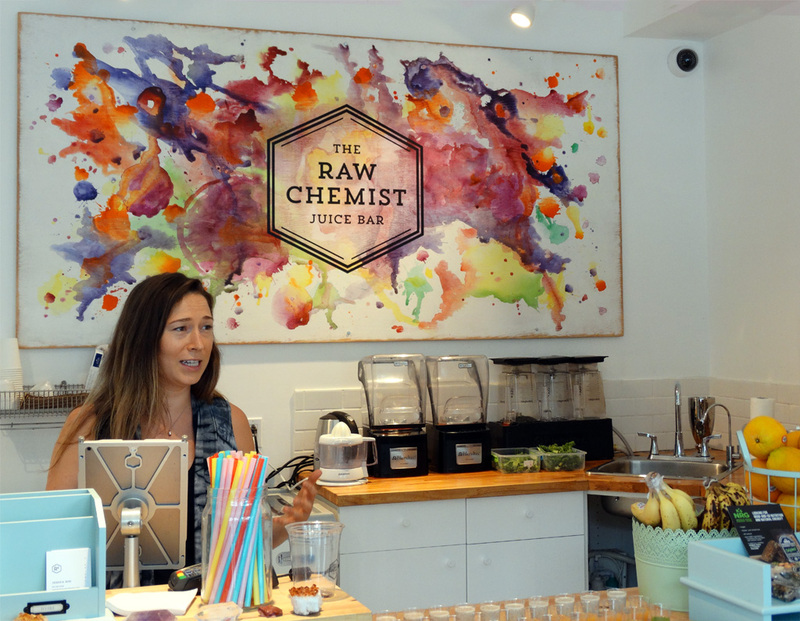 The Raw Chemist is an all-natural juice bar that uses a cold press technique to prepare their juices and smoothies (it’s a more labour intensive process, but it keeps the nutrients more intact). 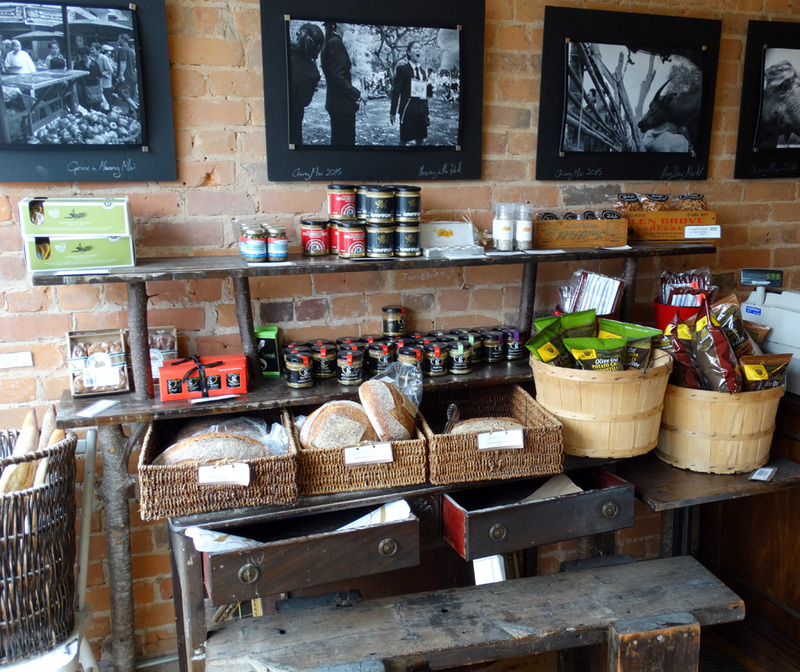 A beautiful store and a delicious way to boost your health! 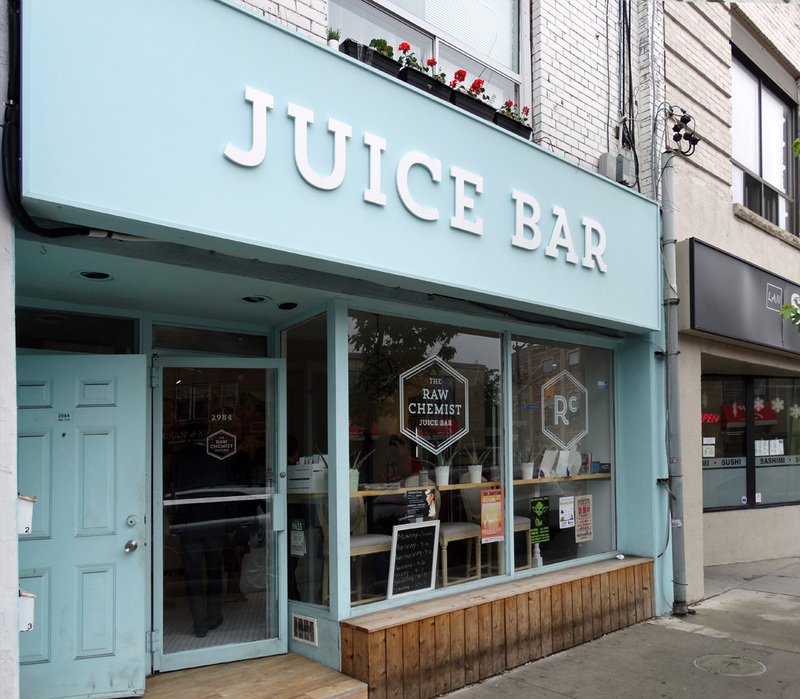 Definitely going back for a smoothie! 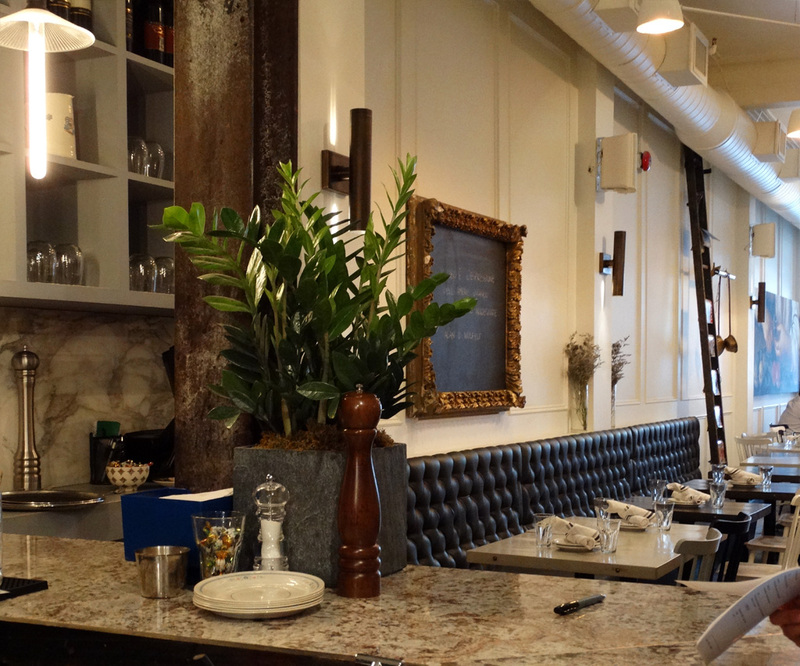 This inviting restaurant serves Italian comfort food with a contemporary flair. 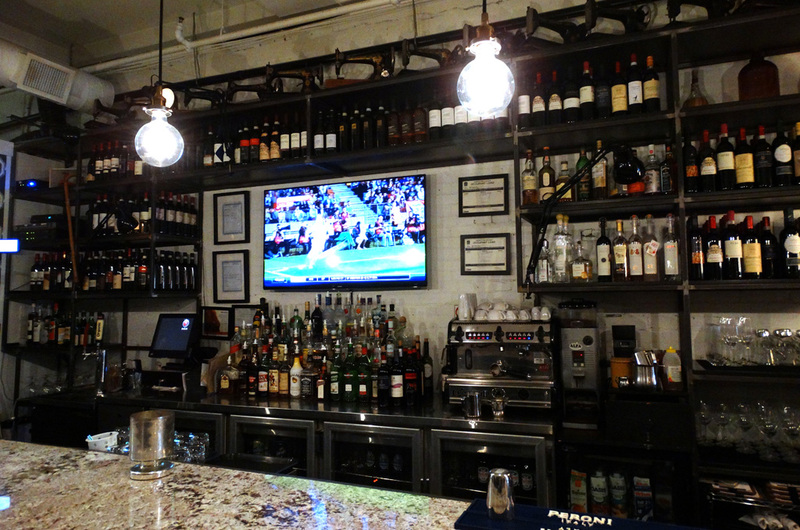 Loved the decor…much of which was sourced through a local salvage shop. Totally a must-come-again experience both for ambience and food! 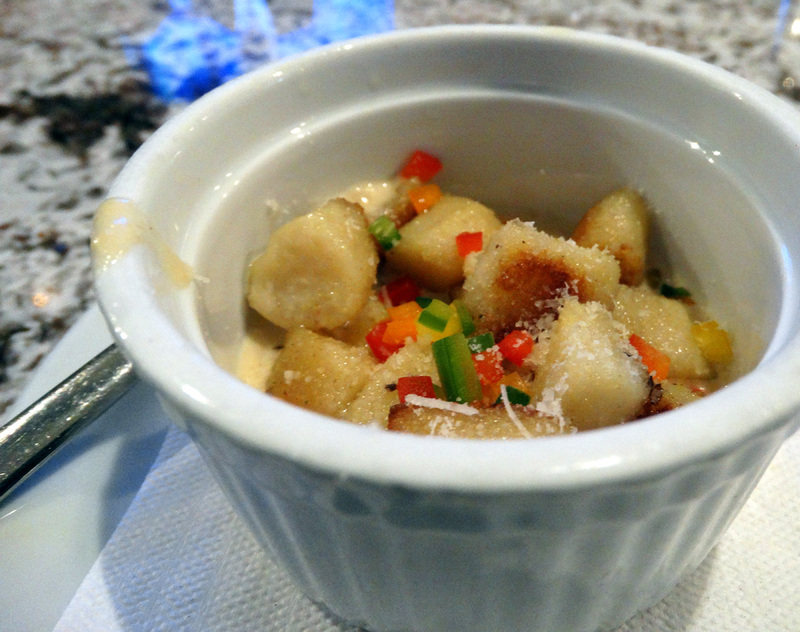 For a sampling, we were treated to a taste of their Tuscan-style, pan-seared gnocci. So good! 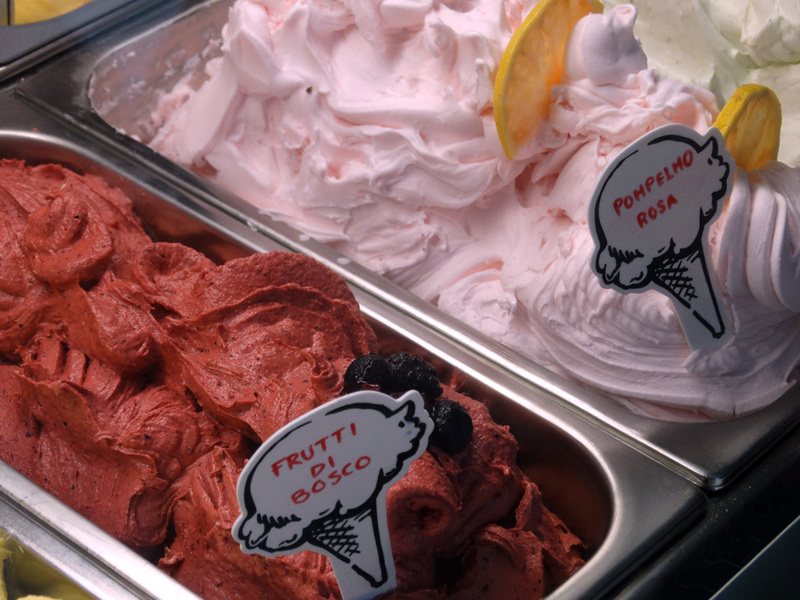 Amazing gelateria and dessert bar! Delectable, creamy gelato and a wide variety of flavours…including some not so typical ones like Chocoloate Chili (packs a little punch) and Lumberjack Breakfast (complete with flavours of maple syrup, bacon, and bits of pancake)! 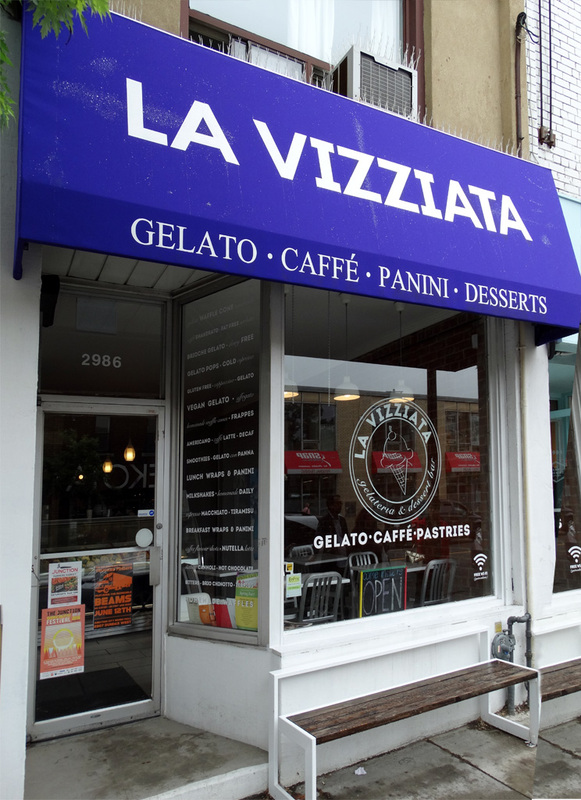 Next time, I’m going for the freshly baked waffles with gelato. I’m craving it already! Definitely a favourite on the tour! 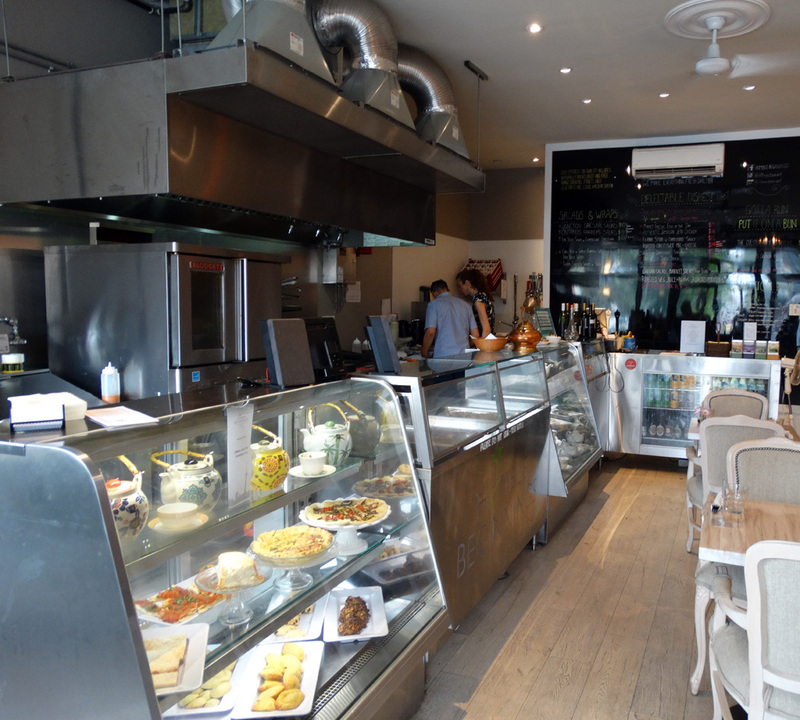 This funky Creole restaurant offers a great, laid-back atmosphere and mouth-watering delights. 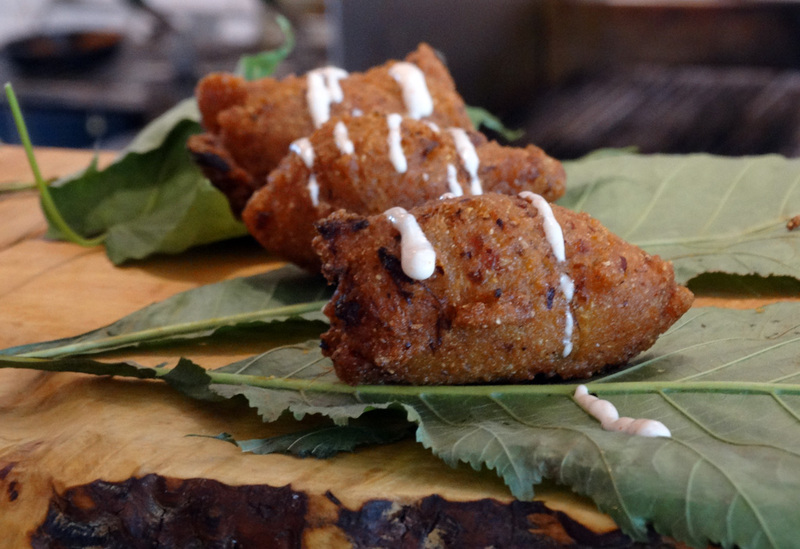 We sampled delicious cornmeal hush puppies and pulled pork sliders, and washed it all down with a choice of sweet tea, lemonade or mint limeade. Yum! I’ll definitely be back! 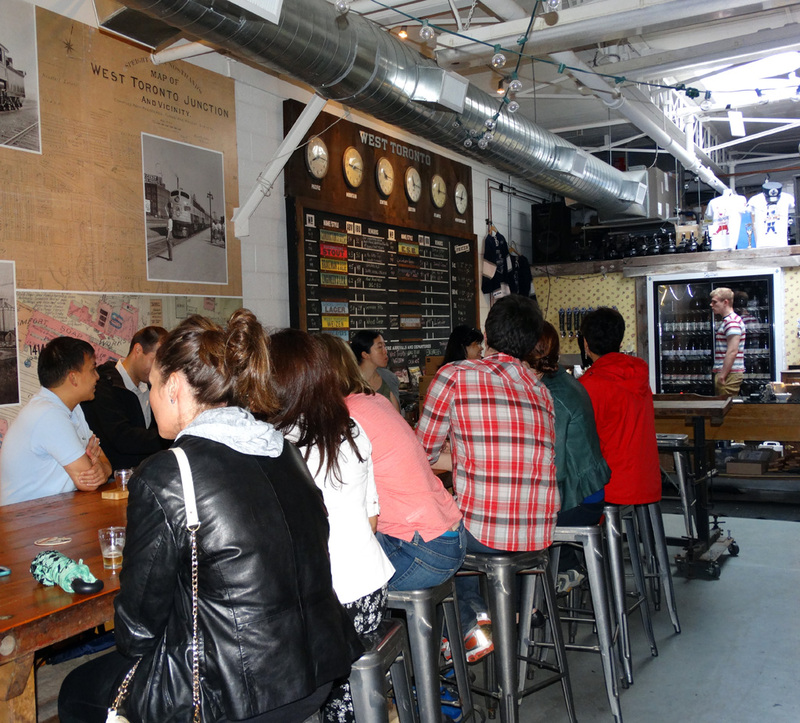 And last, but not least, the tour ended with all four groups convening at Junction Craft Brewing for a relaxing beverage and shared stories of all the delectables experienced on the tour. A great afternoon. Thanks Bites and Sights! 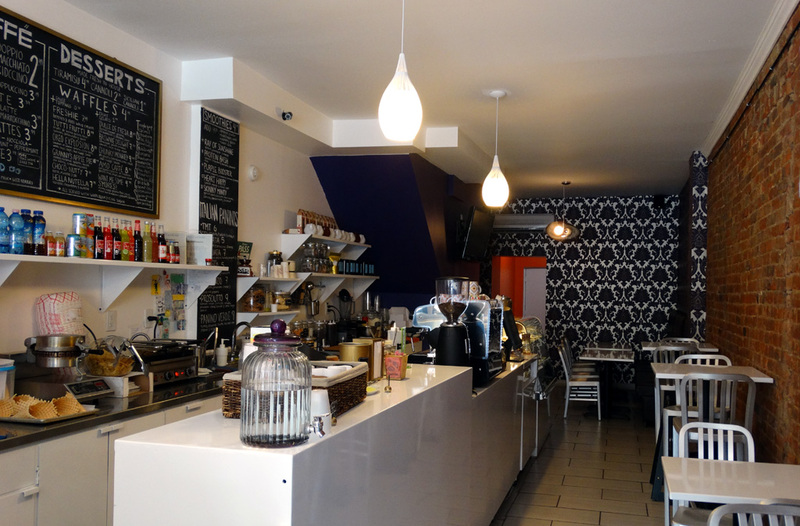 Thanks for posting – all the places look worthy of checking out! They totally are! Lots of great stores to check out as well.